In the hospitality industry there is no such thing as a normal day, everyday is different. But in the main, here is what I generally get up to. The day starts for me with breakfast prep. Whilst Tim is preparing the hot food, I prepare the fruit tray and get the drinks and toaster prepared. Staff arrive around 8am and prepare restaurant and in the kitchen there are eggs, smoked salmon, kippers & porridge to prep by the kitchen assistant. Then its service time from 8-15 to 9.15. This morning there was a full house - just 38 breakfasts though as some rooms were under occupancy. If we are totally full - a bum in every bed, we can sleep 53. During service, Tim is normally doing the hot food, the kitchen assistant the eggs & porridge and I do toast & drinks, phone and reception & wash up. Straight after breakfast service I change hats to receptionist and assist the departing guests and the kitchen assistance takes over wash up. Housekeeping staff arrive in at 9.30 and make a start with the rooms and after breakfast service kitchen staff are cleaning down and preparing food for dinner and restaurant staff are clearing down & resetting. Now if all goes to plan we try and grab something to eat, on a good day this might be around 10.30, but on a bad day it can be after 1pm before we get chance to eat. Thats the thing - you just never know what is going to happen. Next its laundry and room checks, repairs, shopping and of course answering the phone & door bell. Hopefully we manage to get all the rooms turned round and ready before 2pm and the arriving guests. 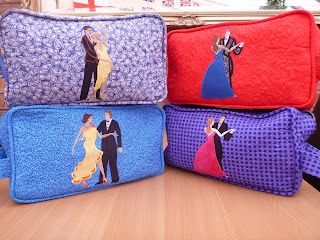 Today, although we have several rooms departing, I managed to get a bit of sewing done. If I don't get to sew at least every few days- I get grumpy! 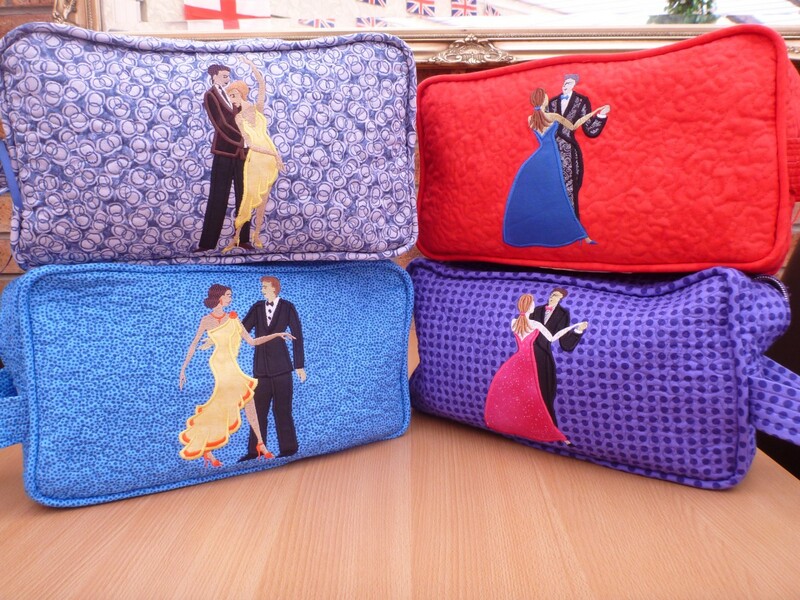 I have been machine embroidering dancers for the next batch of shoes bags. Time for more food before Tim sets off, then I'm left home alone playing receptionist & bar person & duty manger and dealing with all the arriving guests. When all the guests have arrived, I prepare bills for the next days departing guests, registration forms for tomorrows arrivals and the A & D list (arrivals and departures) for housekeeping so they know which rooms need to be serviced. Bar to cover till guests go to bed then its time to finish off and lock up, ready for it all start again in the morning. Its been a busy shift, the phone has been constant and lots of people coming to the door looking for a room for the night. Ready for a cuppa and looking forward to closing up and heading off to bed. And you do it very well. When I stayed with you I was looked after very well.